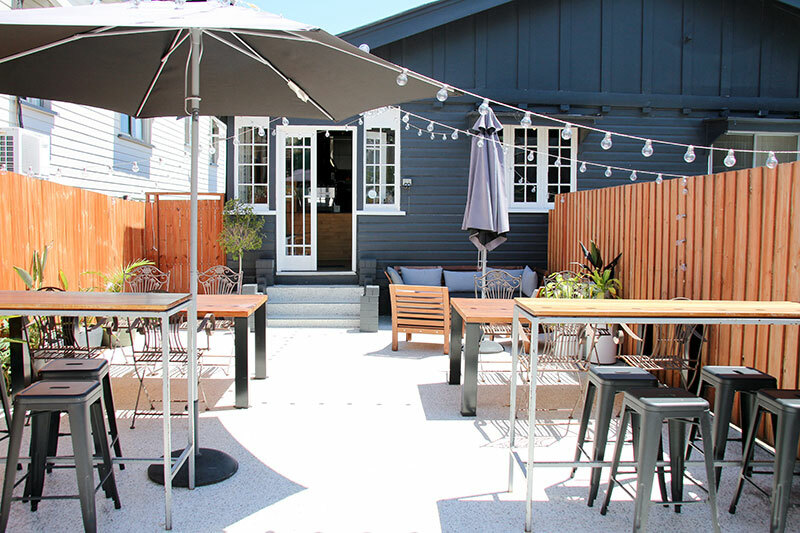 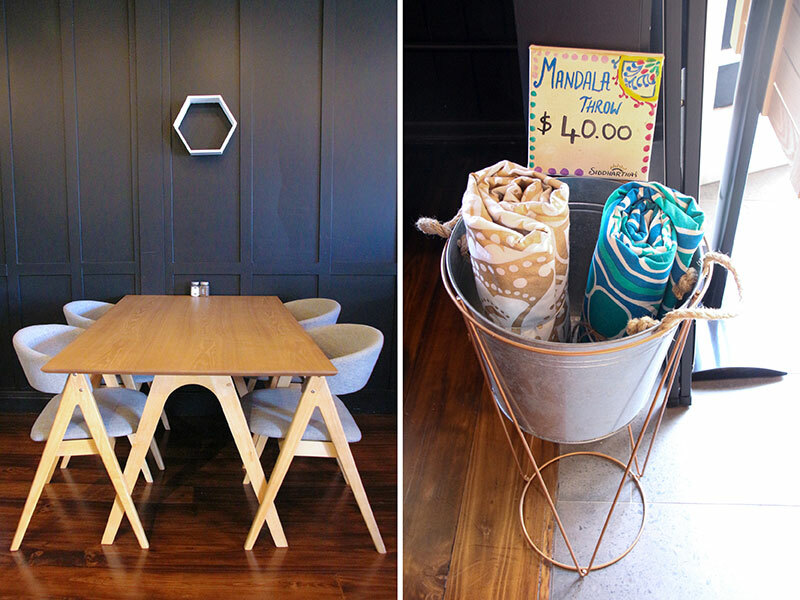 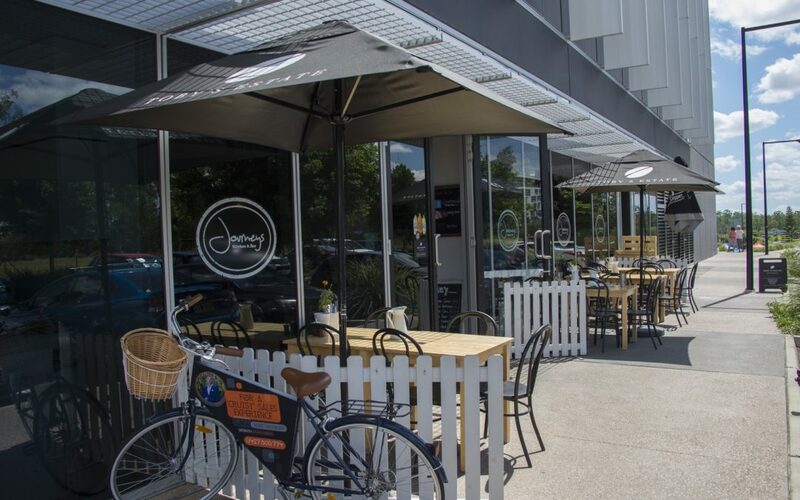 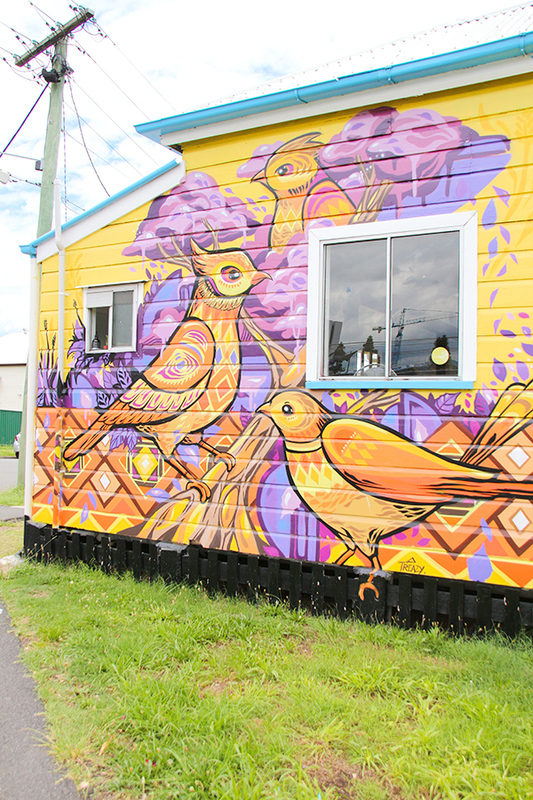 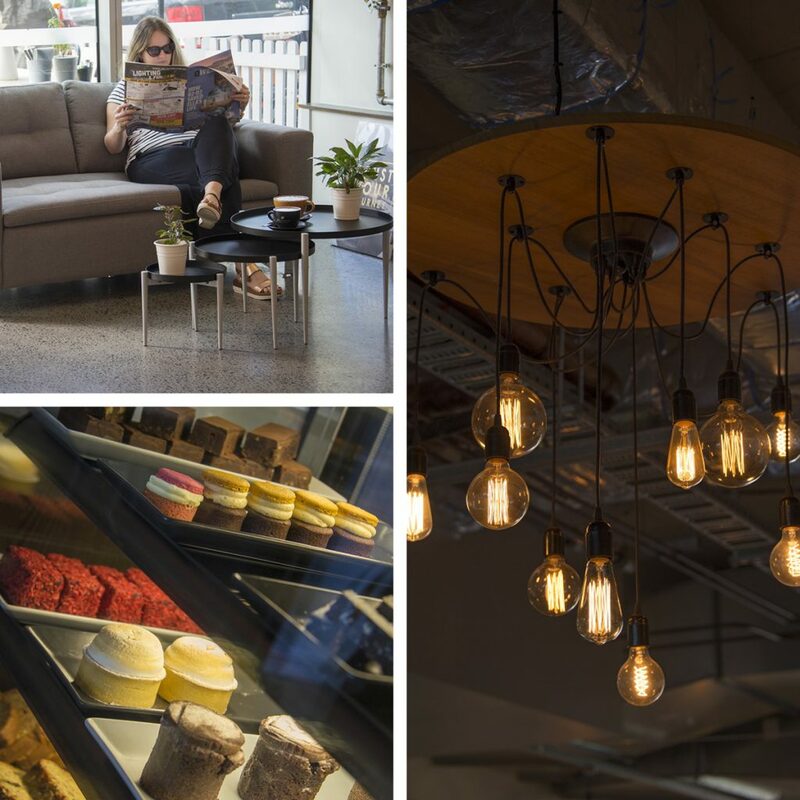 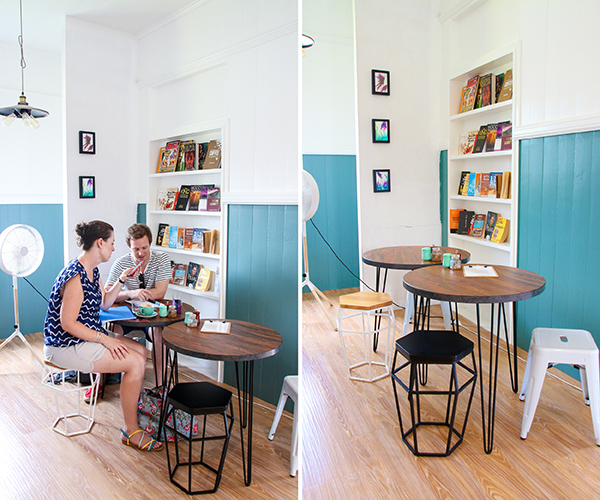 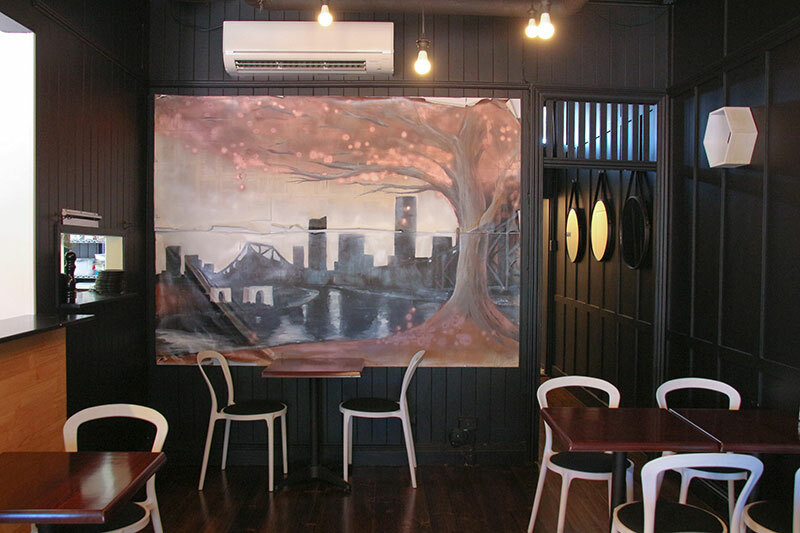 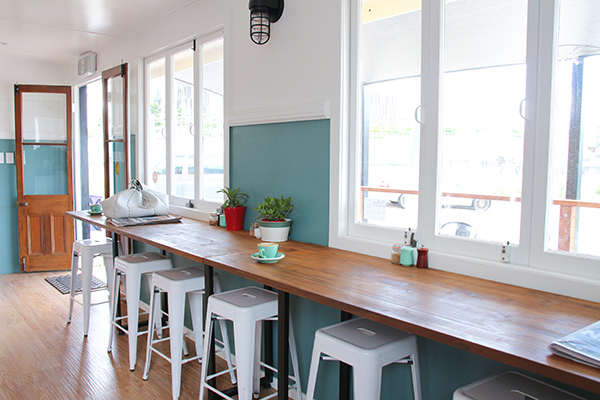 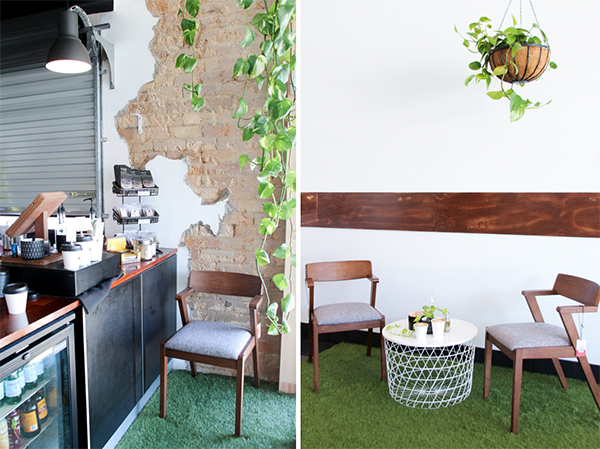 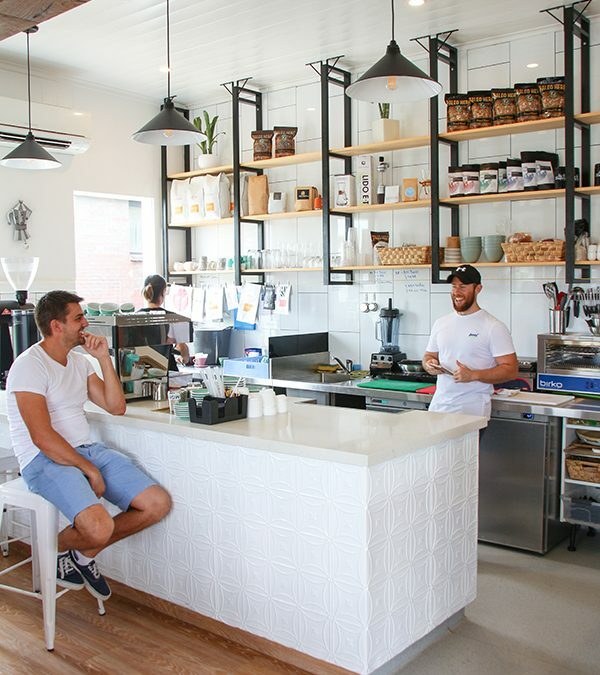 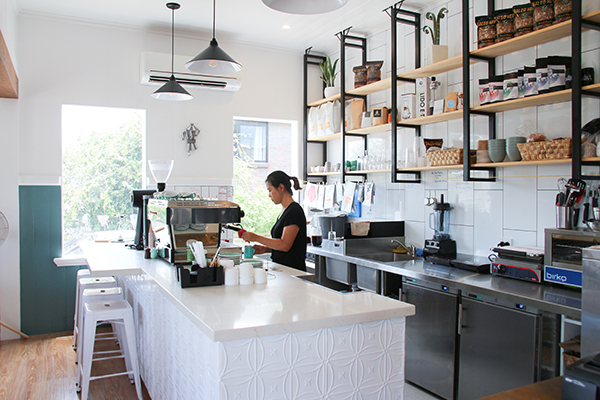 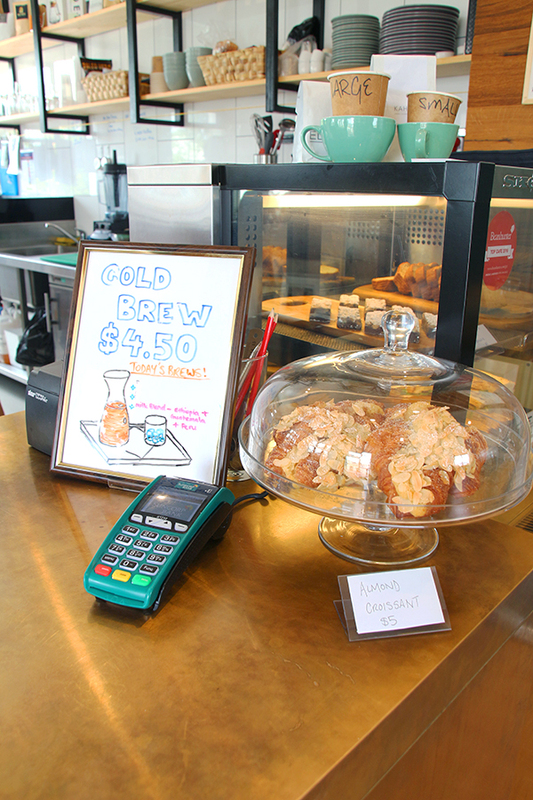 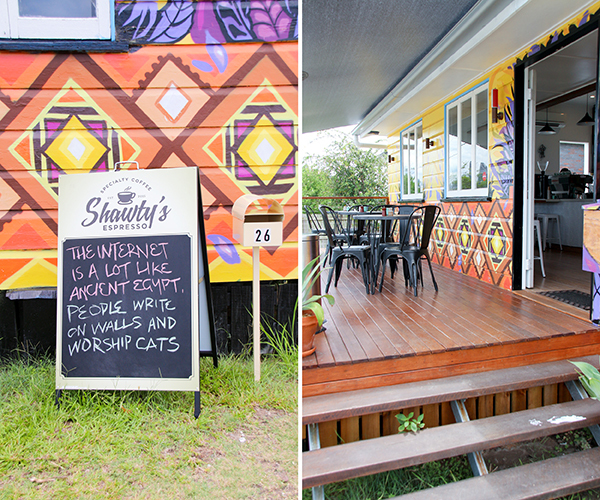 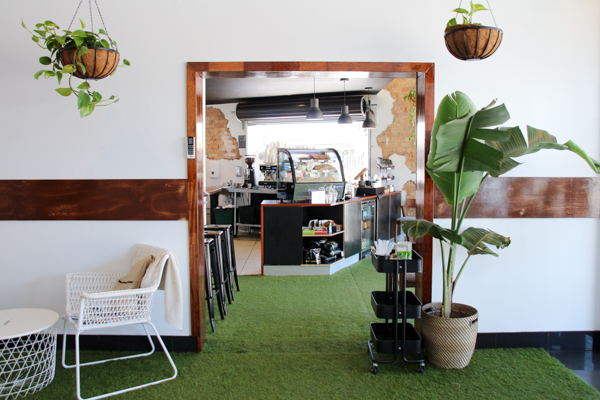 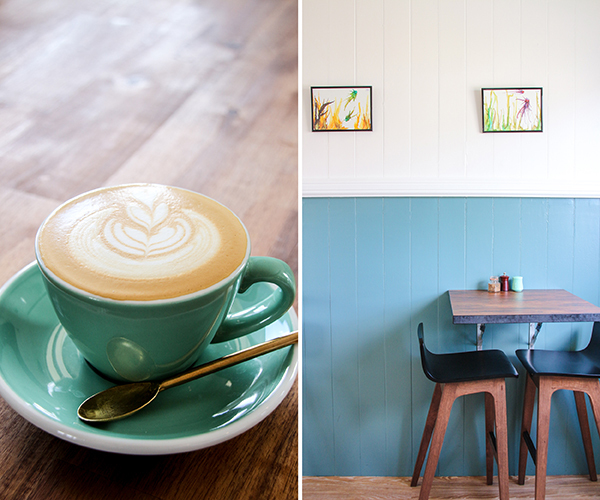 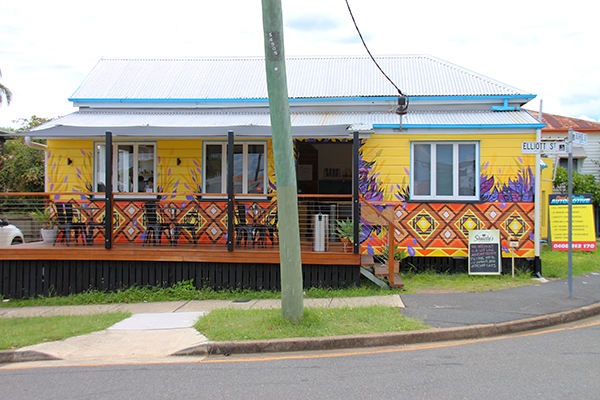 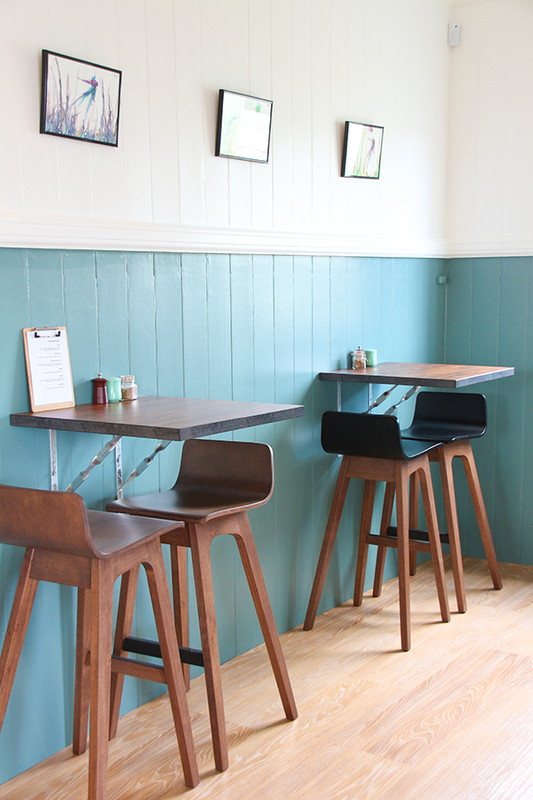 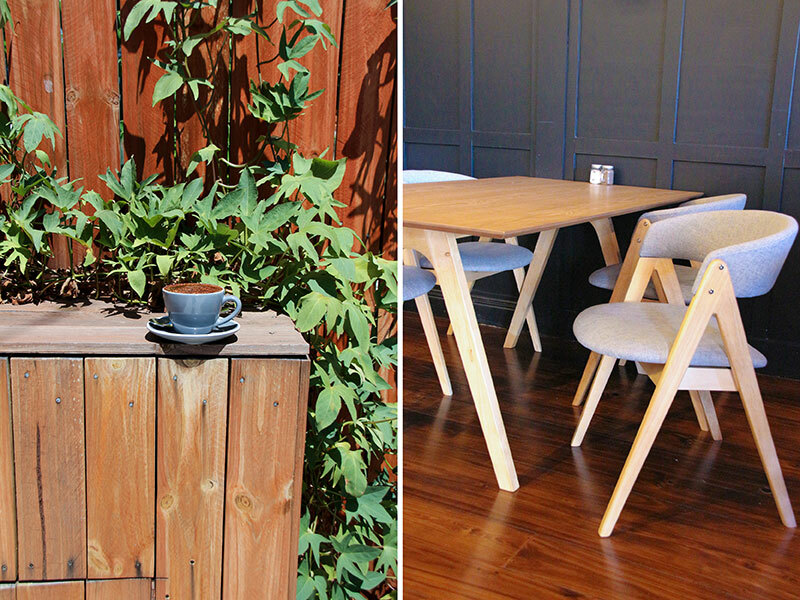 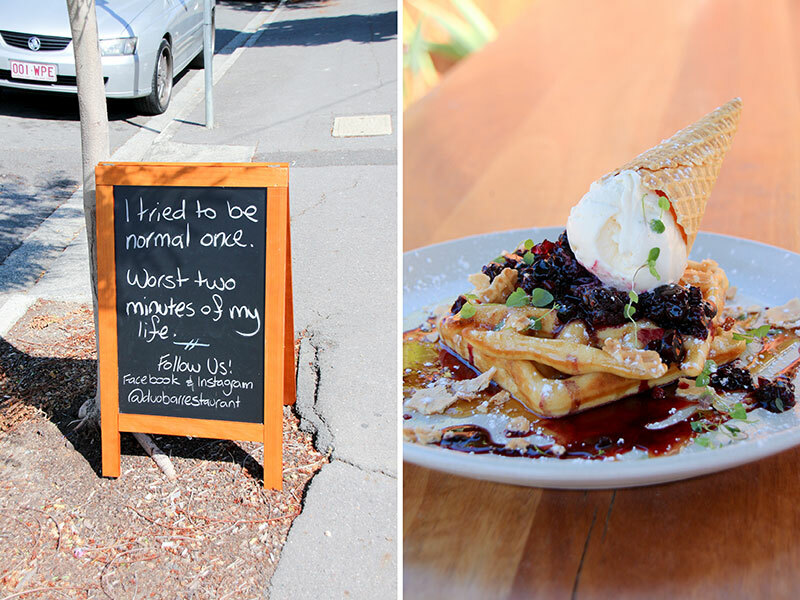 Driving past this bright little nook in Tarragindi you may mistaken the crowd for a dog’s birthday party – but the pooches are just out getting their coffee fix! 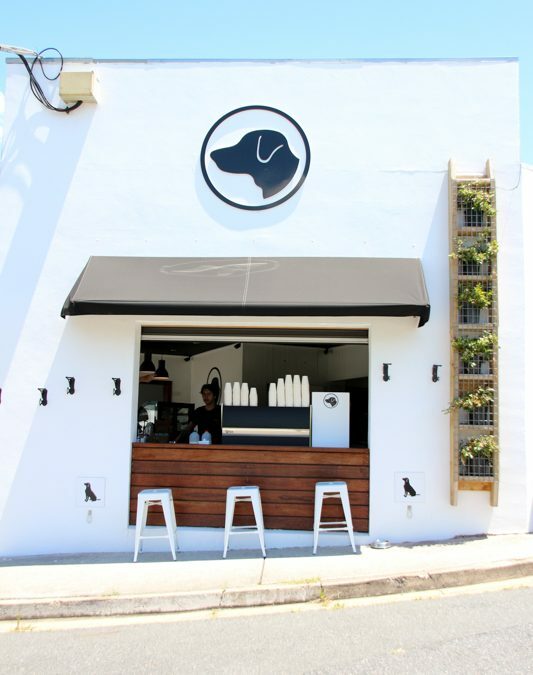 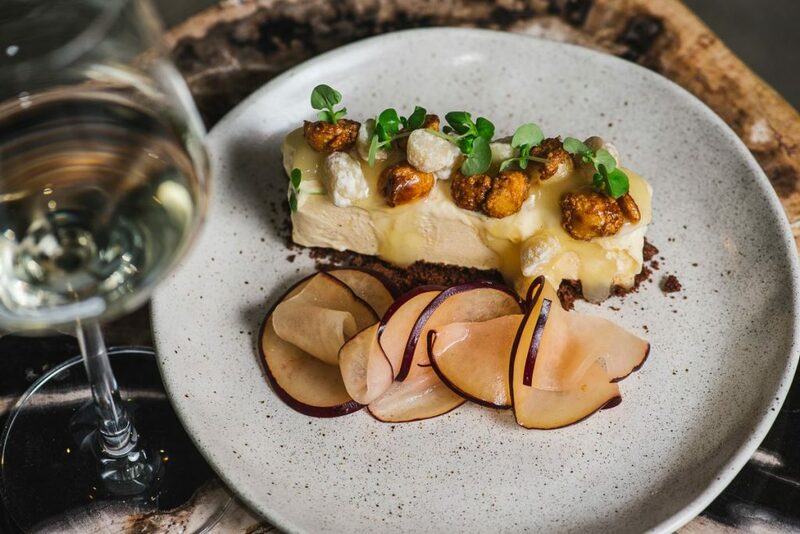 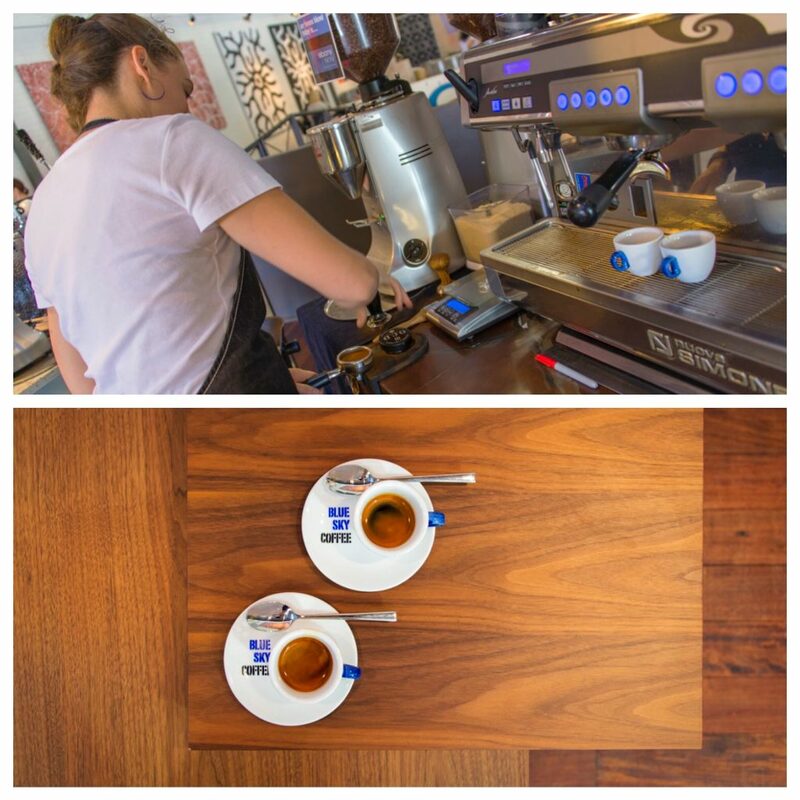 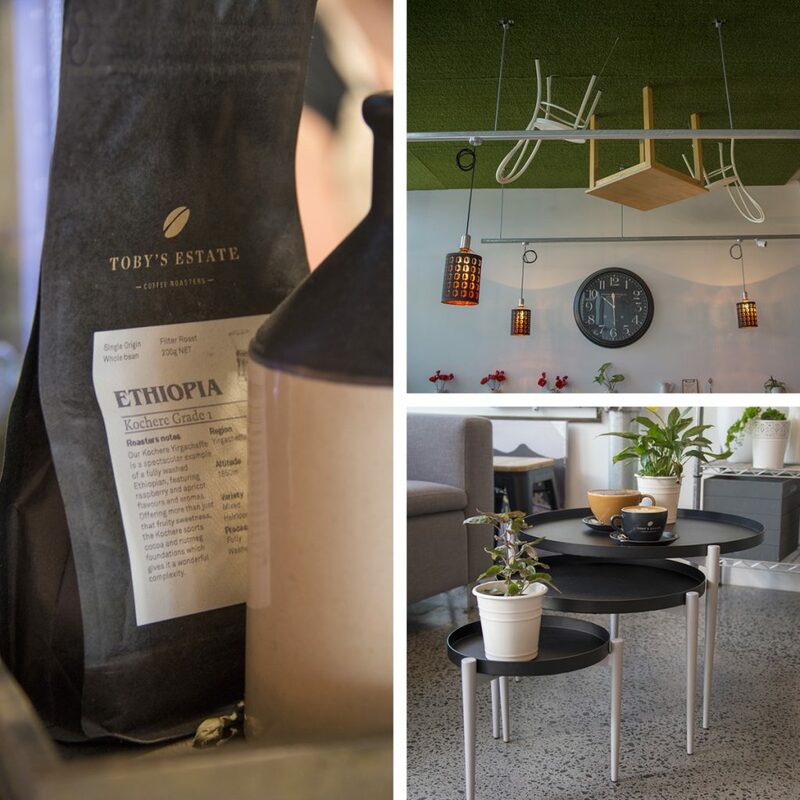 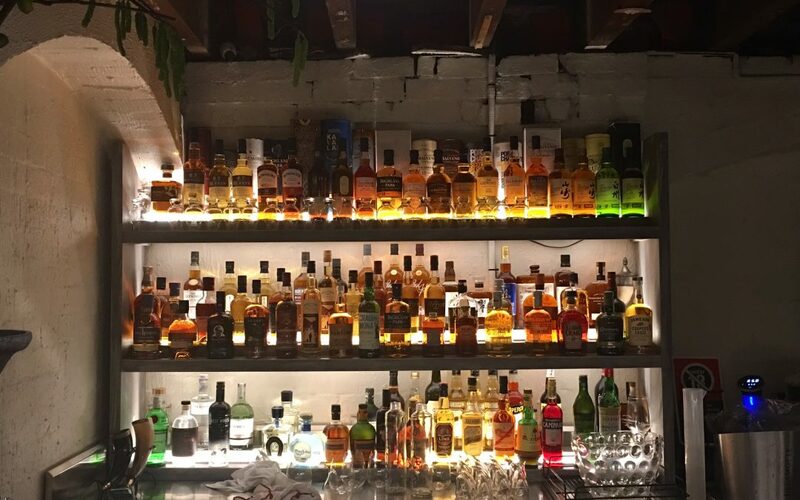 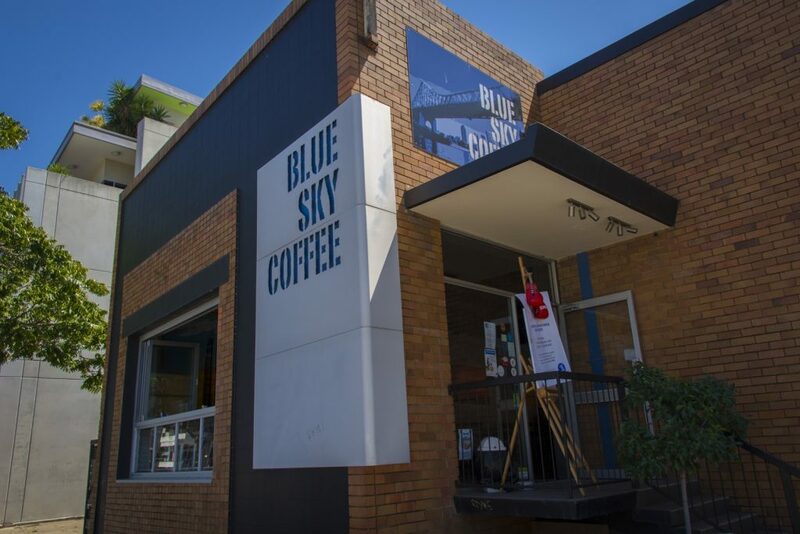 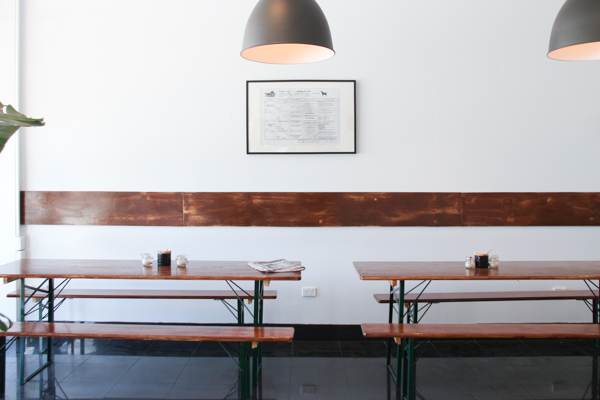 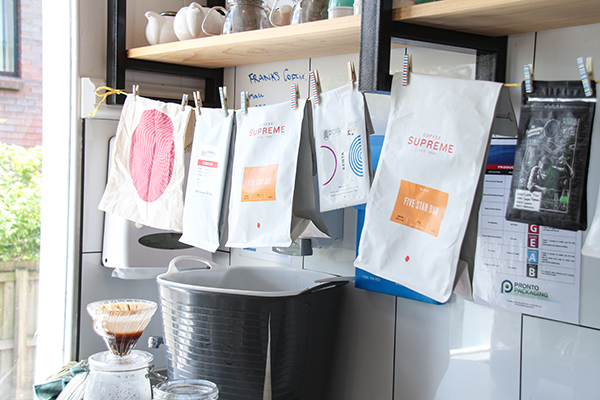 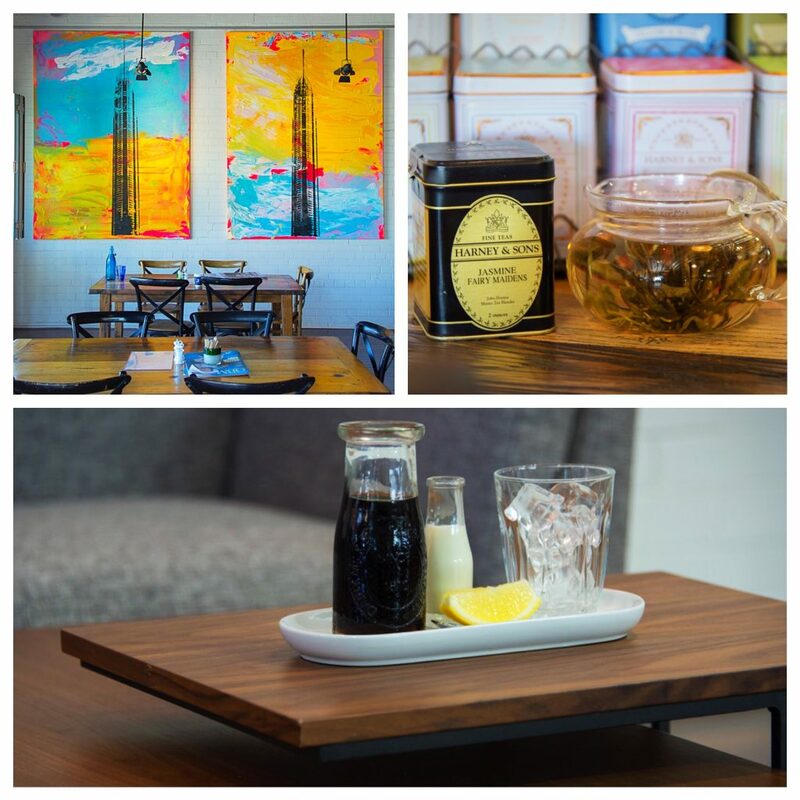 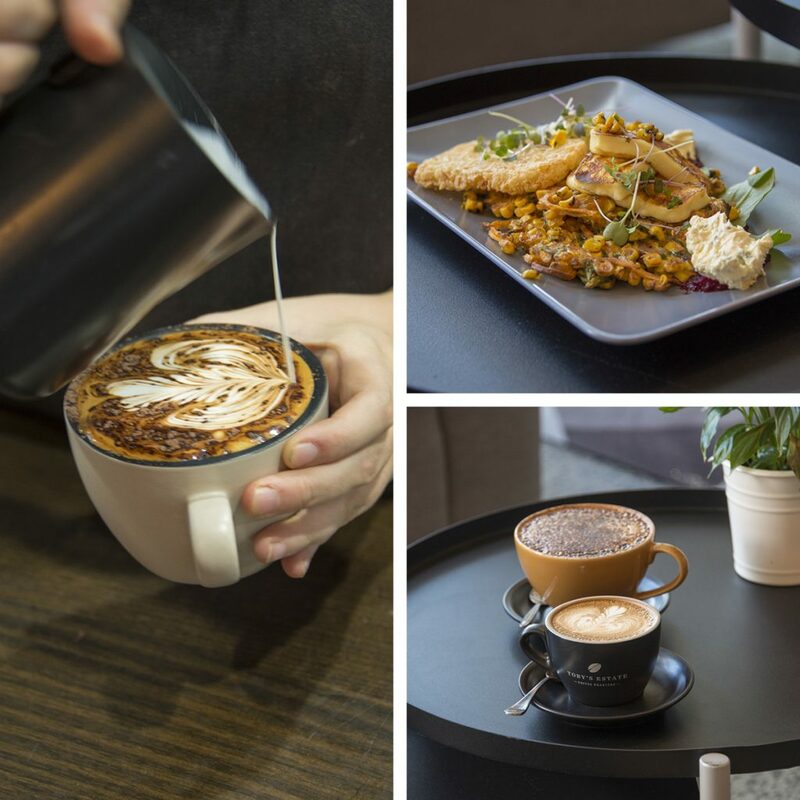 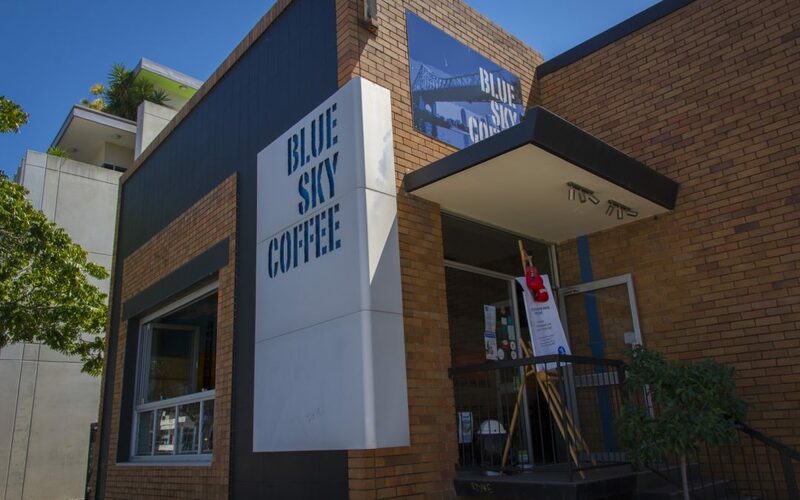 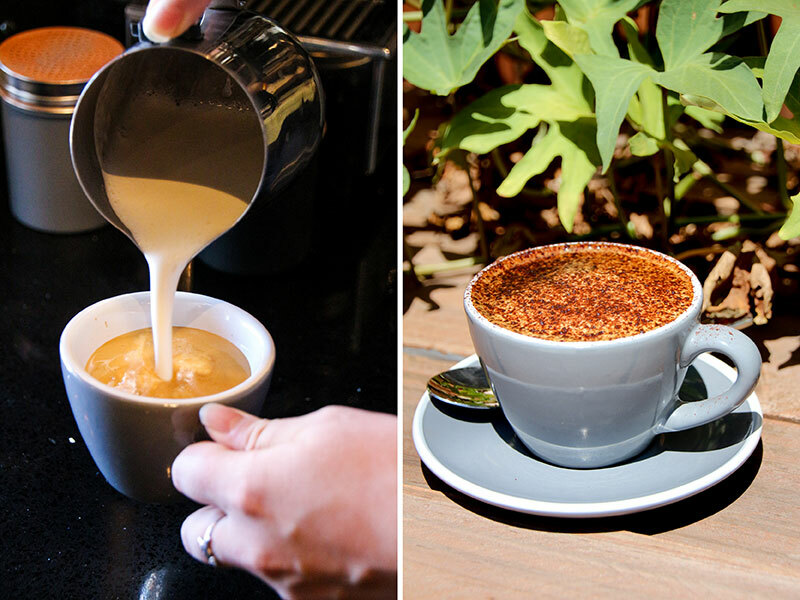 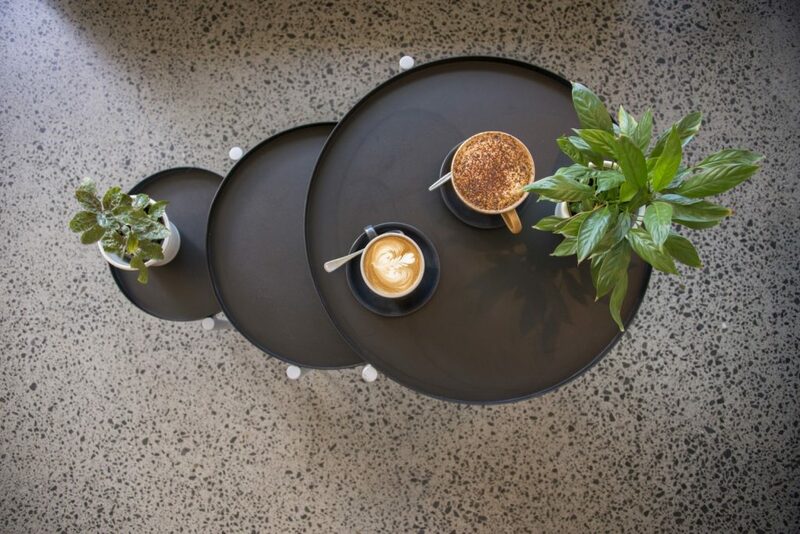 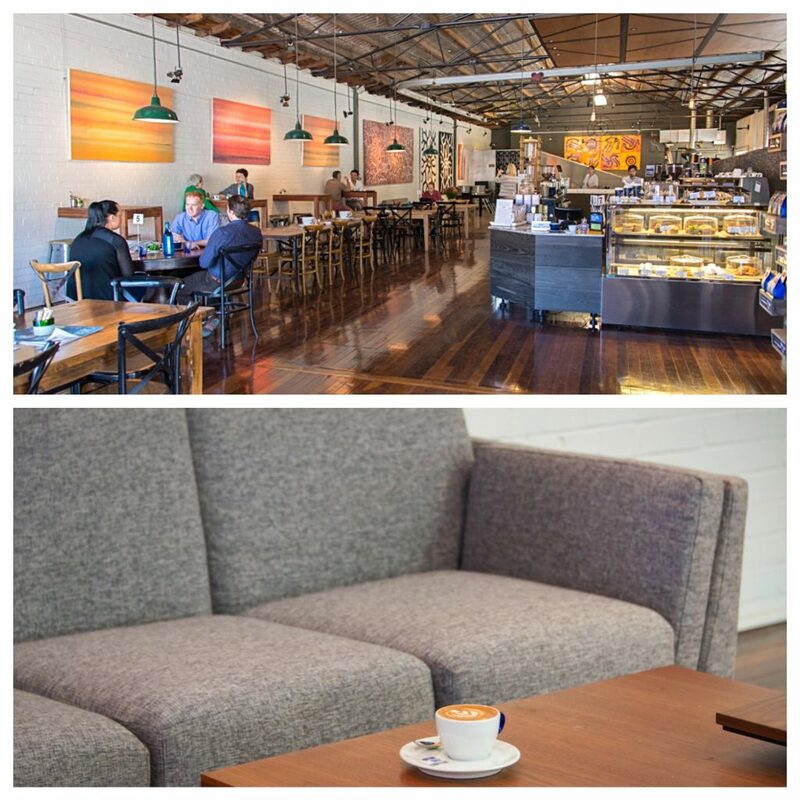 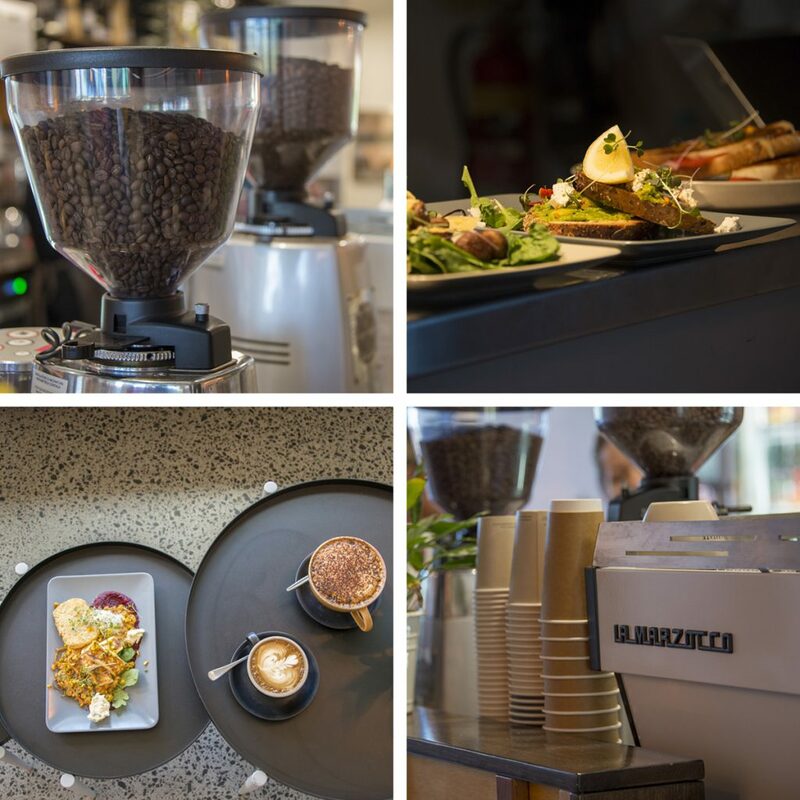 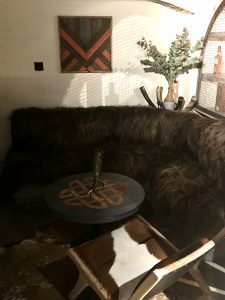 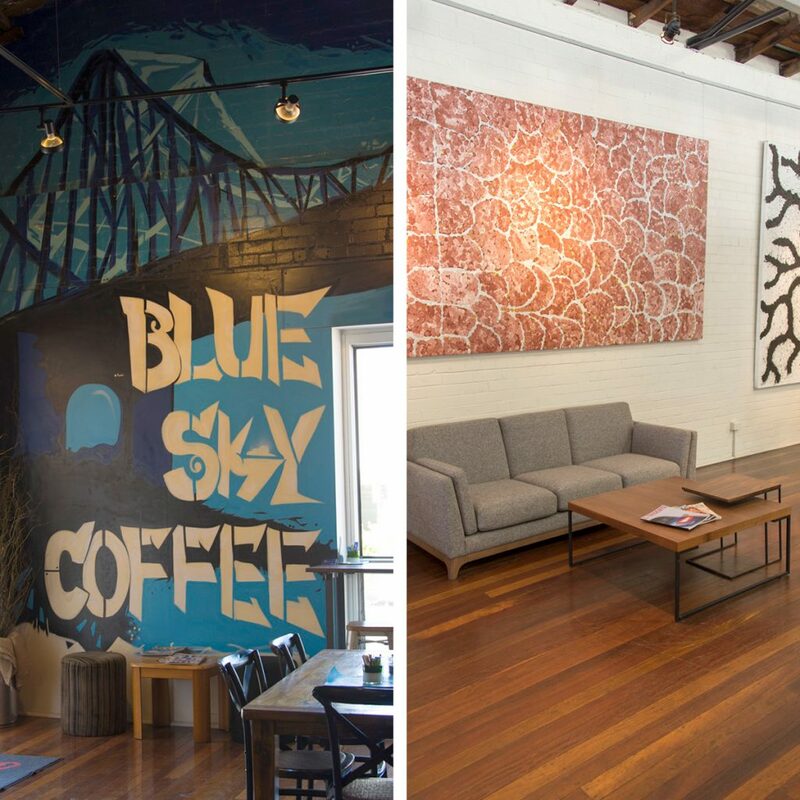 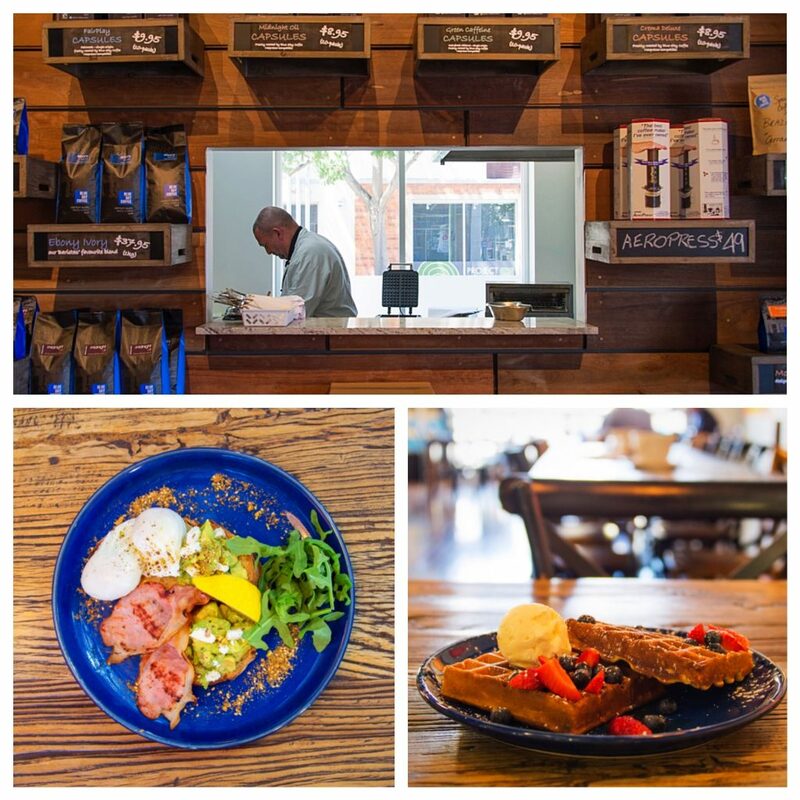 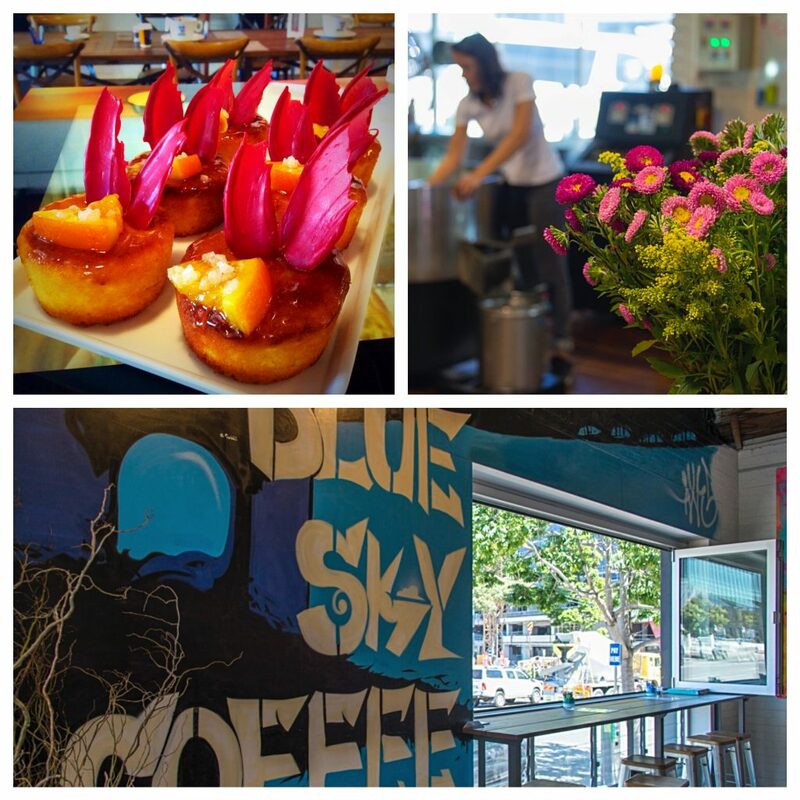 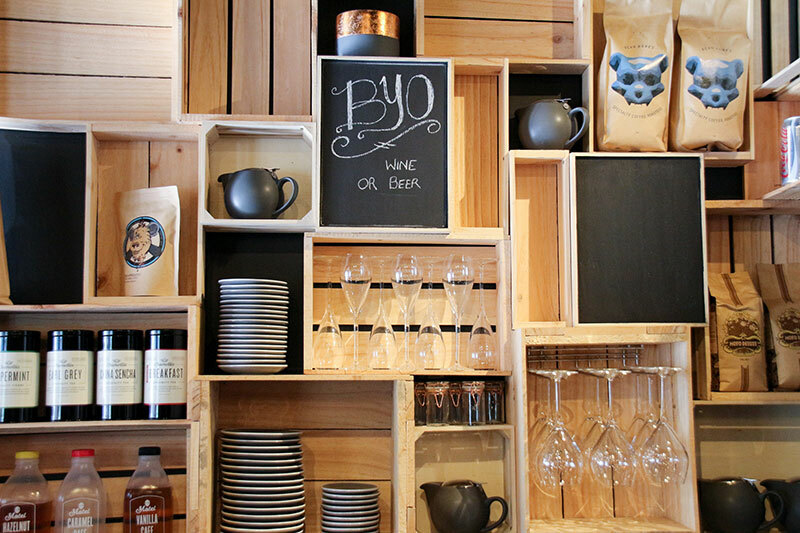 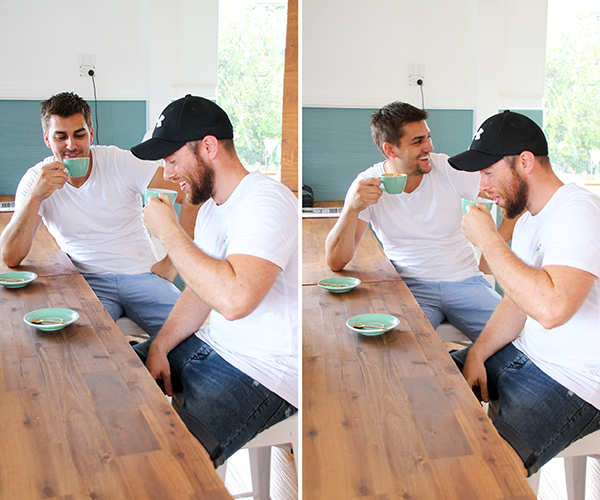 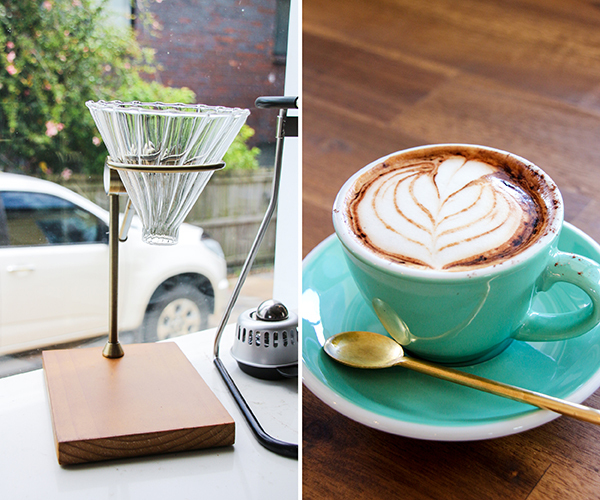 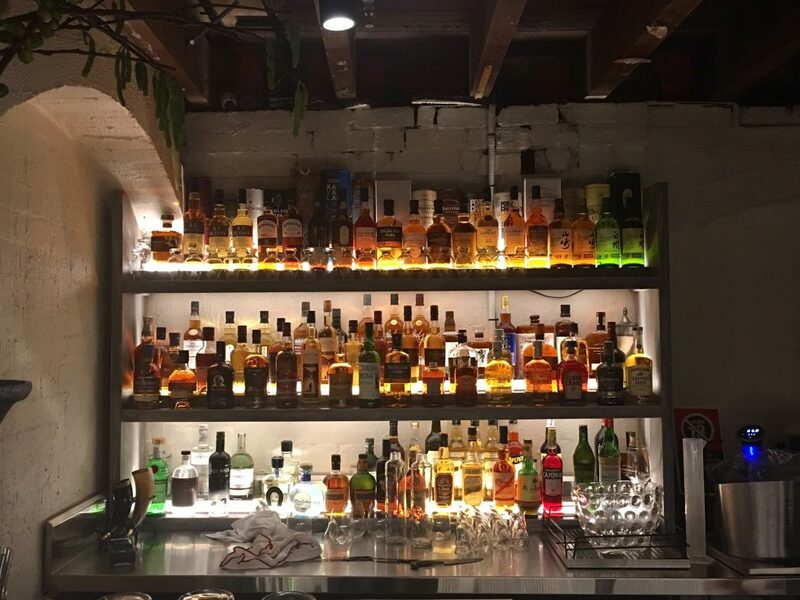 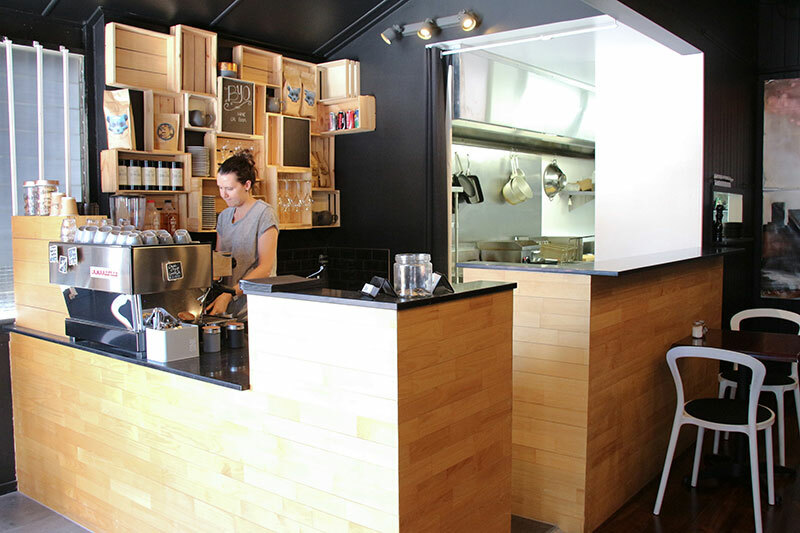 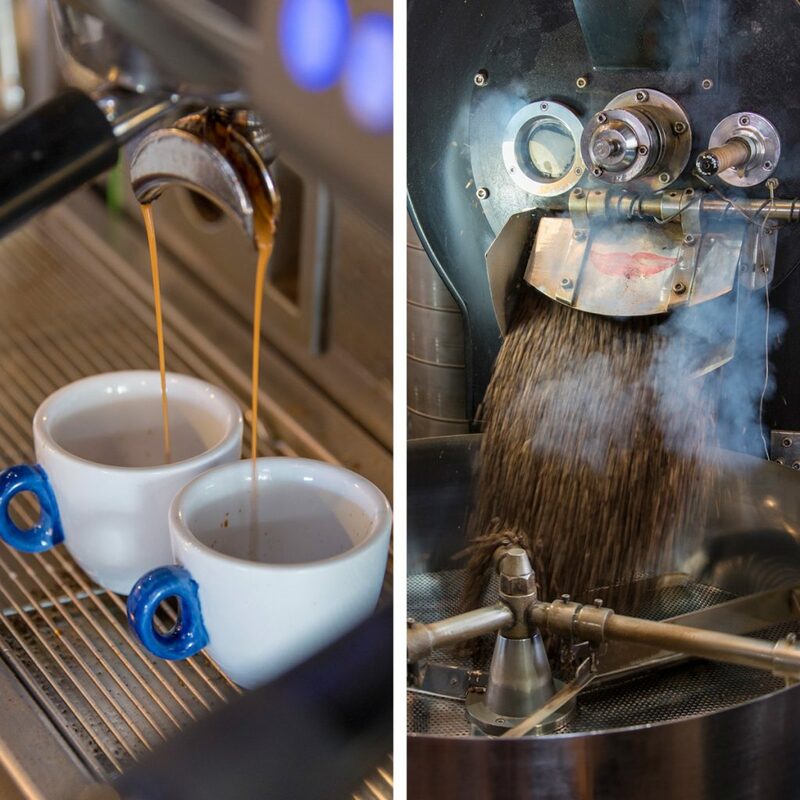 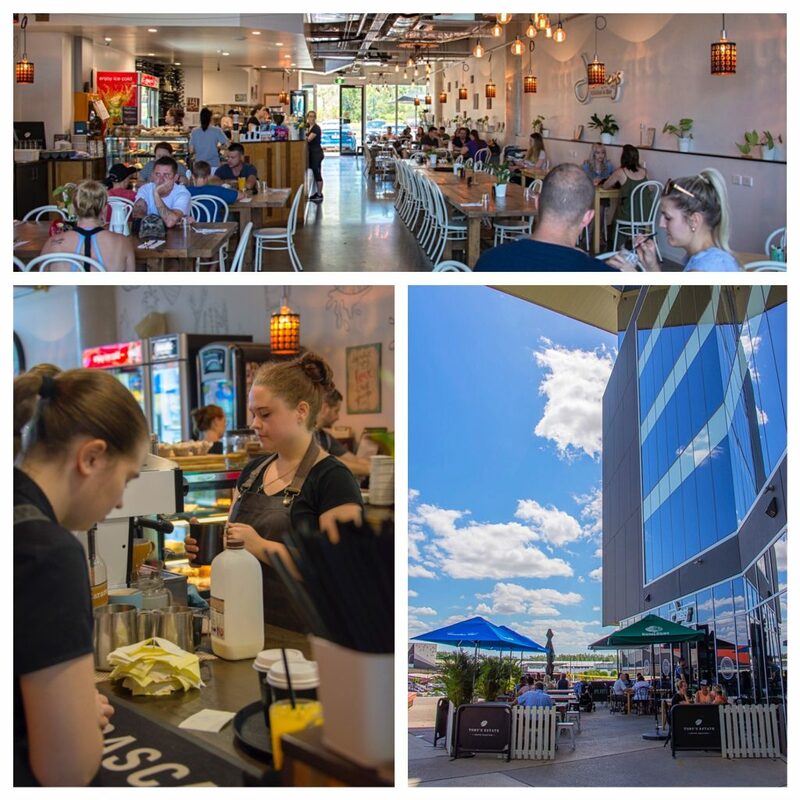 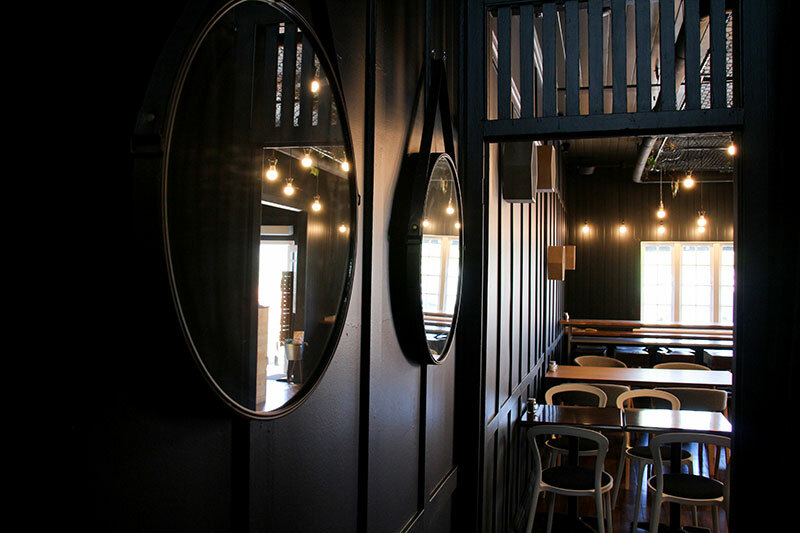 A much-loved spot for local coffee and dog aficionados alike, Black Lab Coffee was established by Luke Nuske in efforts to bring great coffee into their local neighbourhood, and to revitalised the empty strip that once housed numerous independent shops. 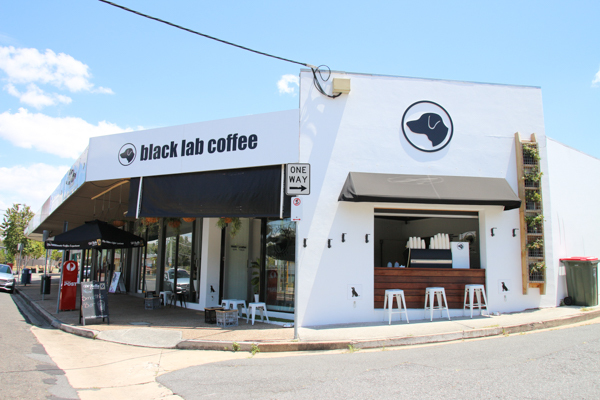 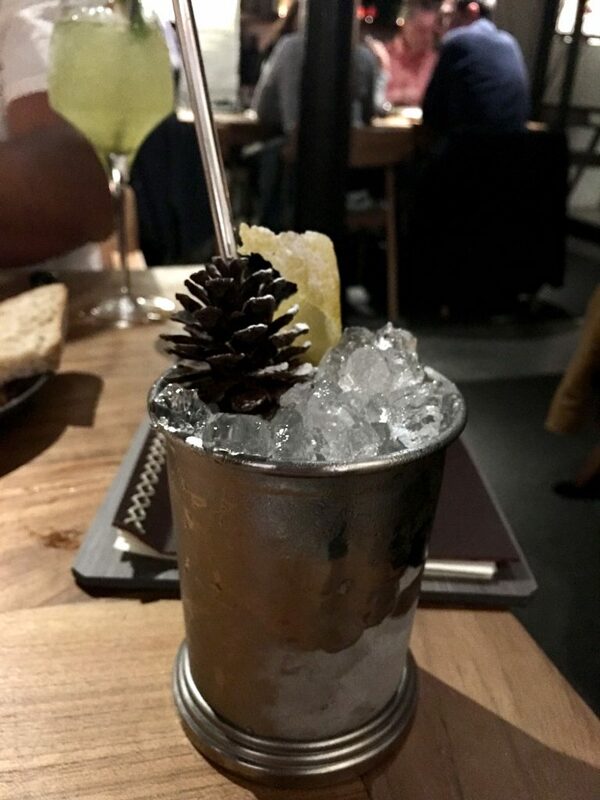 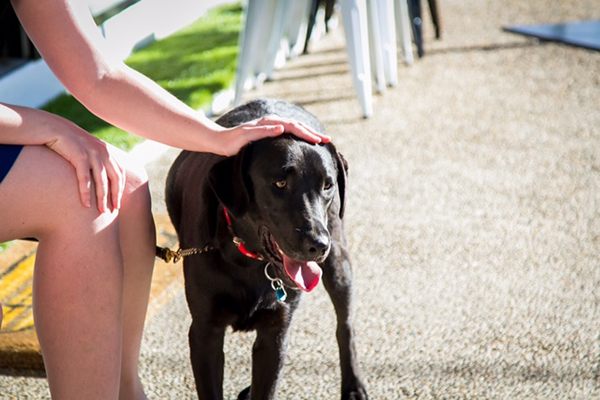 An active member of the community, Black Lab Coffee has organised multiple fundraising events for animal welfare groups, and continues to raise awareness of animal rights and adoption. 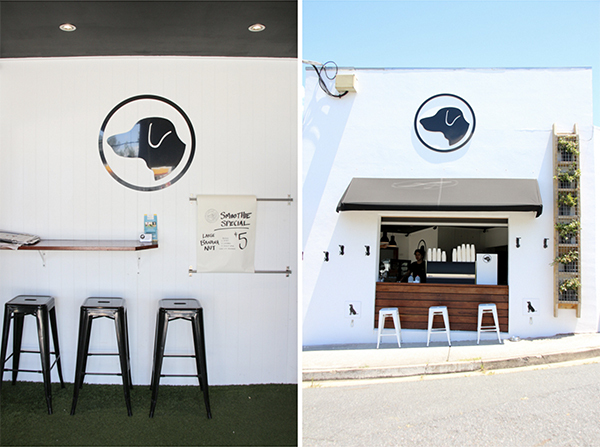 The cafe features a roller window for takeaways, as well as dog-parking hooks and water stations for your furry companions. 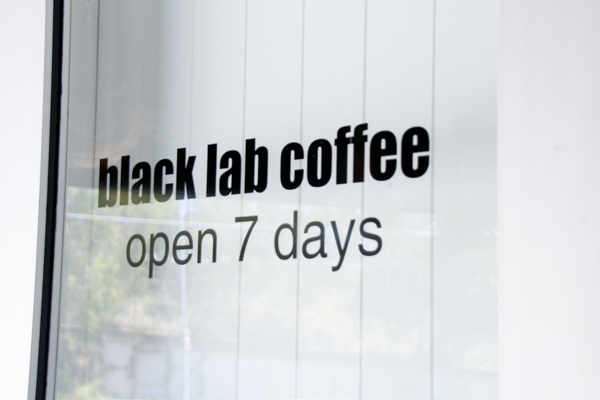 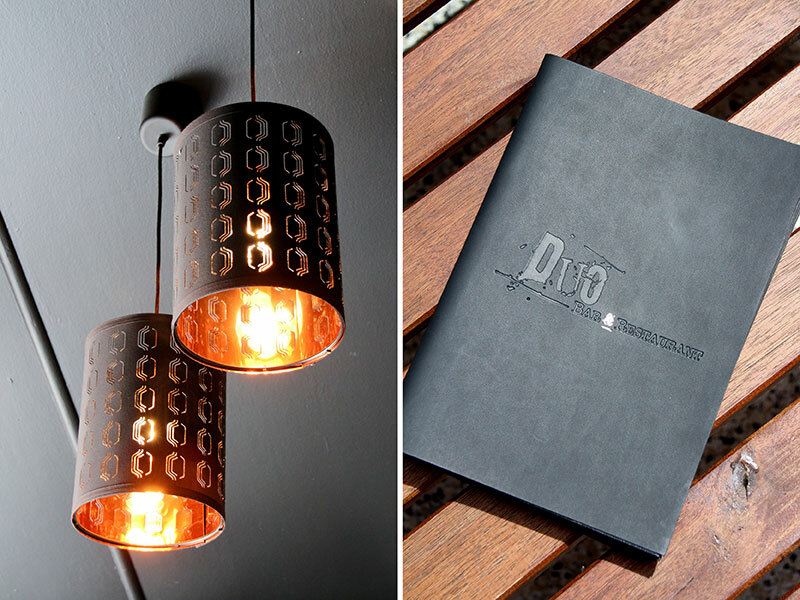 The branding is a tribute to Luke’s adorable black labrador Audrey, who frequents the cafe for a friendly mingle. 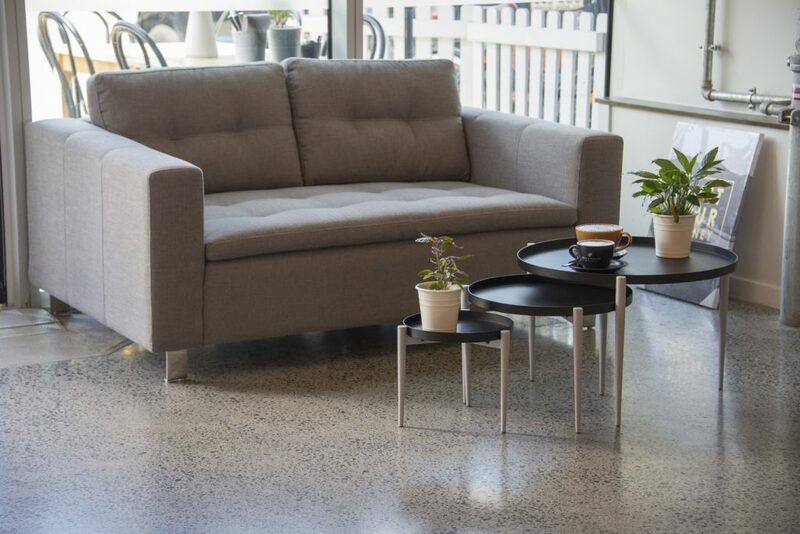 An effective use of flat design paired with solid black and white tones, the crisp aesthetics reflect the adaptability and openness of the space. 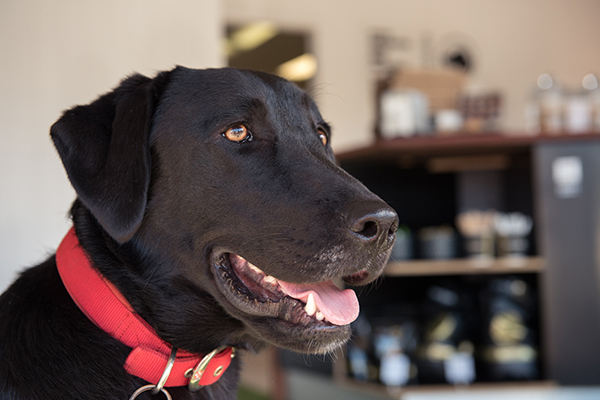 Meet the real boss of Black Lab! 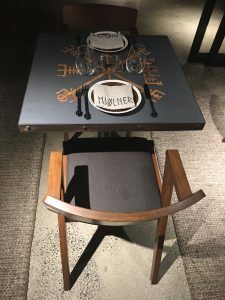 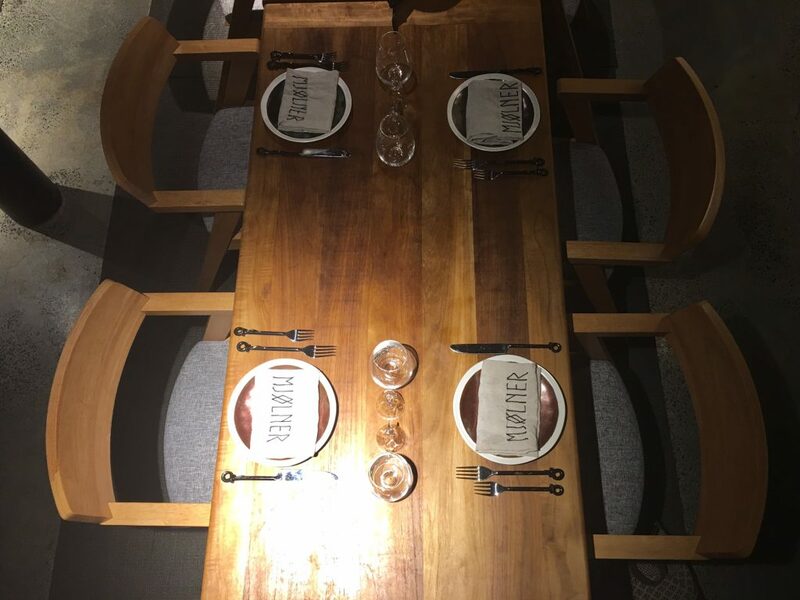 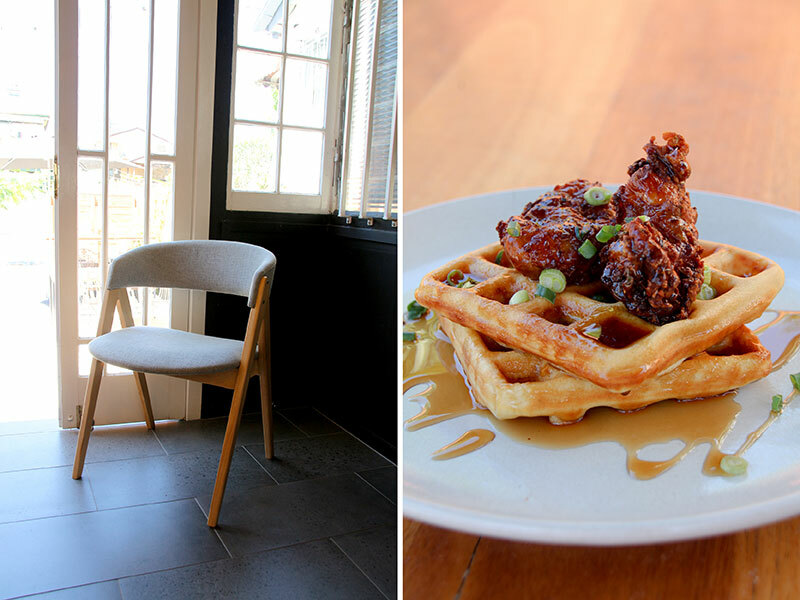 With Luke’s background in architecture, Black Lab is a well-considered living space that is uncomplicated and accommodates all – the long communal tables is paired with our Zola chairs, providing quieter corners for couples or individuals. 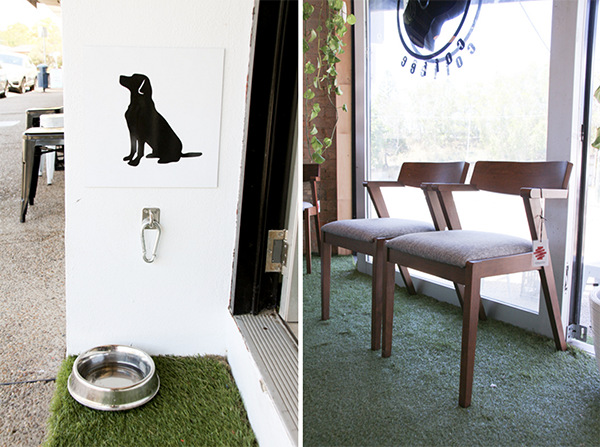 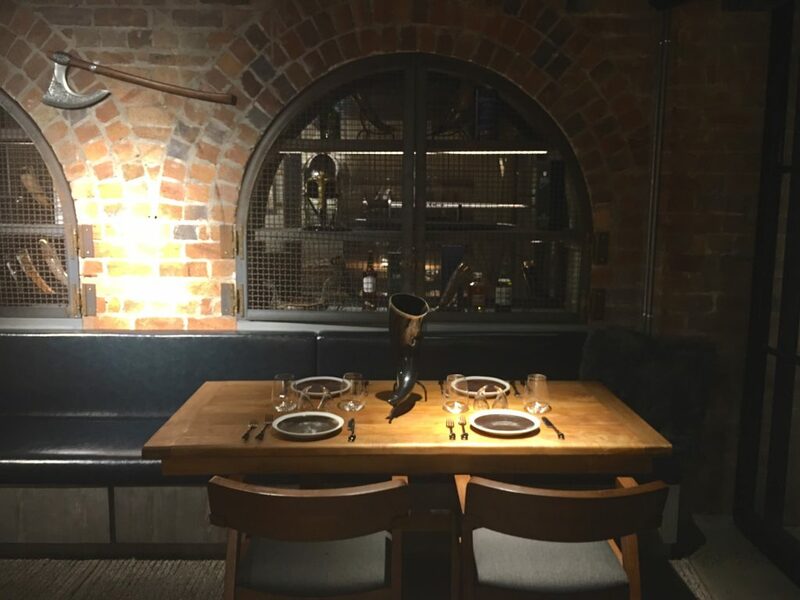 Working closely with the Black Lab team, our Zola chairs were chosen to complement the simple colour palette. 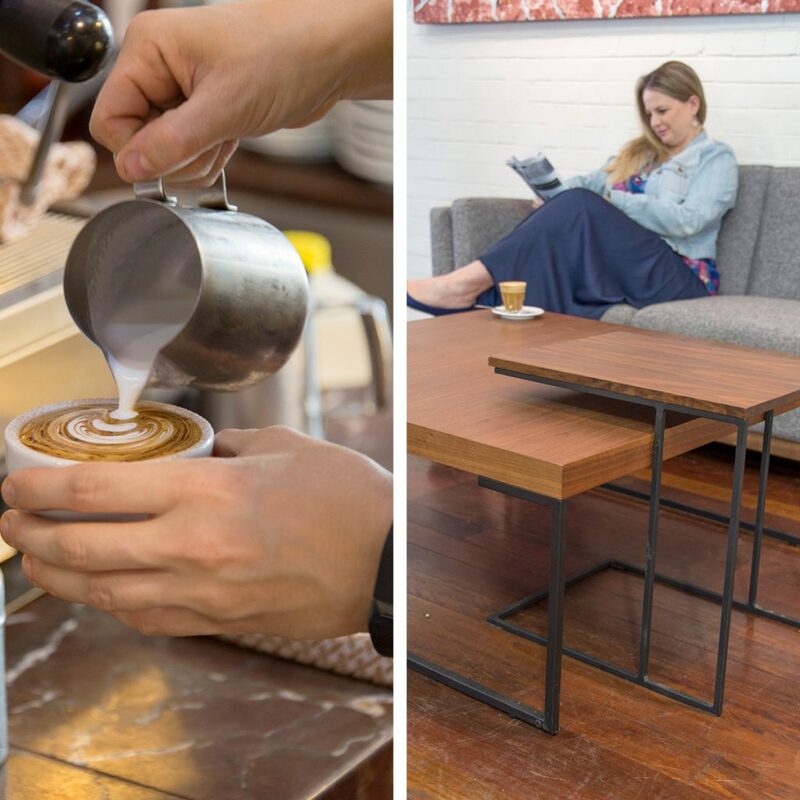 Built with beautiful Malaysian Oak and wood veneer in a cocoa stain, the Zola is sleek and ergonomic; adding a quiet sophistication to the humble nature of the space. 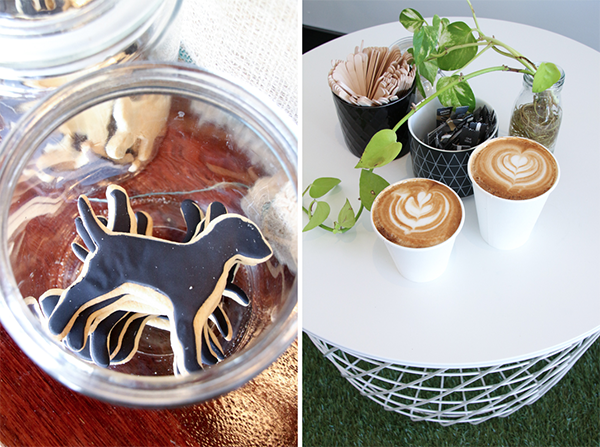 Serving deliciously creamy Di Bella coffee, as well as scrumptious snacks and baked goodies, Black Lab Coffee is the perfect hang to recharge and do some hound watching. 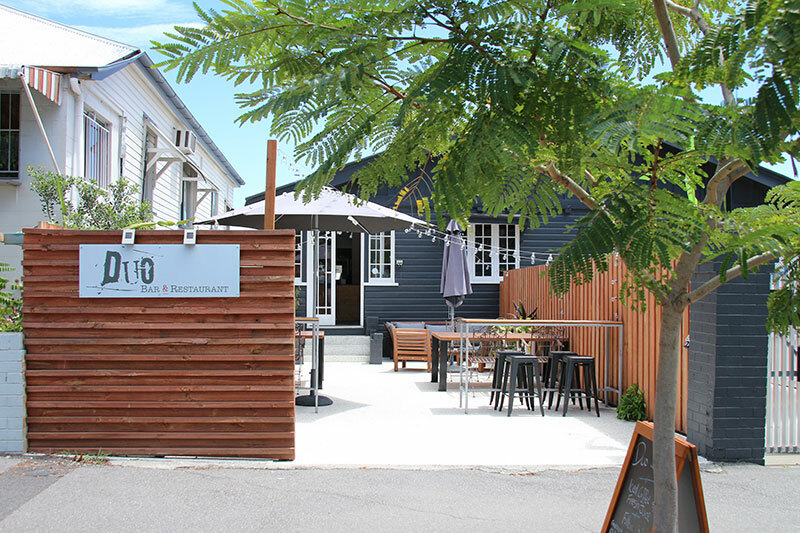 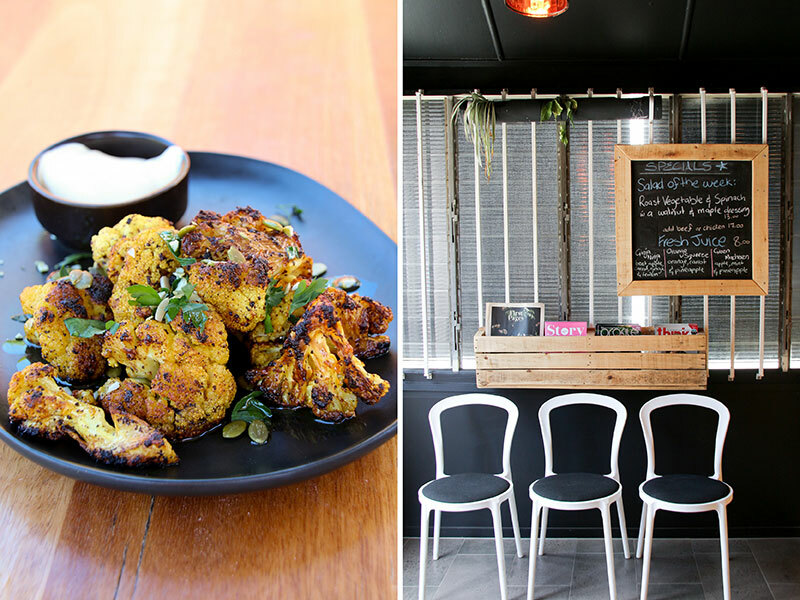 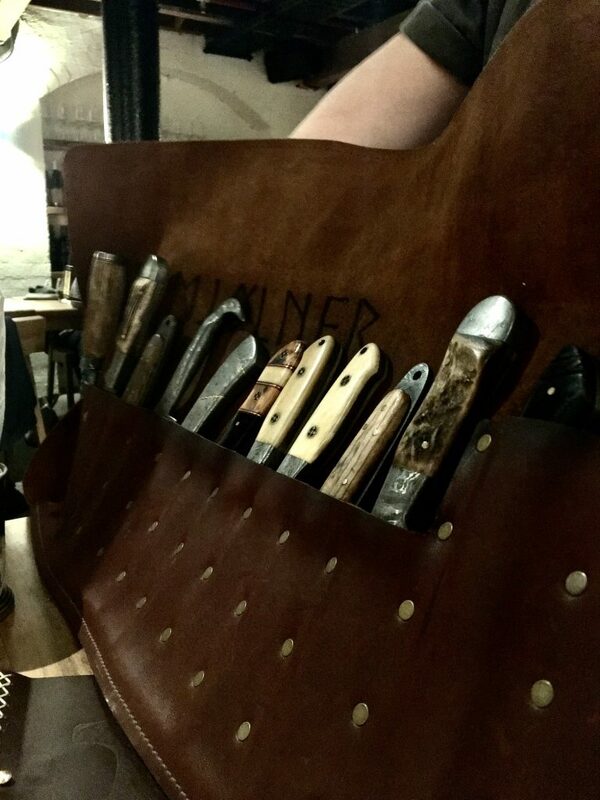 Recently they have expanded into the space next door, gearing up for more serious food offerings!